Training Topics: Your Campaign Plan to Win, Fundraising for What You Need, Engaging Voters via Traditional and New Media, Grassroots Action, and more. Cost: $20 in advance or $30 at the door. Lunch and educational materials included in the price of admission. RSVP: Click the link below, email trait@americanmajority.org, or call 918-289-0159. 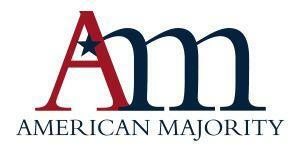 If you are remotely interesting in running for office or helping on a campaign this year, I would highly recommend attending an event put on by American Majority. This event will be held the weekend before filing for office starts here in Oklahoma (filing runs from June 7th to June 9th). In addition to this event, American Majority will be holding Patriots 2.0, a New Media Activism and Social Networking Training in Muskogee on June 15th.